In the churning fury of the strong winds and rain of a natural disaster, an unnatural contagion is born. The sickness is carried within the storm surge’s relentlessly advancing tide. As the first wall of the hurricane assaults the lush swampland, humans and innocent creatures are infected. Their resultant mutation brings with it an insatiable and shocking hunger. The savage herd of monstrosities goes in search of food. Guided by one-hundred and thirteen mile-per-hour winds at their backs, the gruesome horde slogs towards a small rural town known for its alligator tours. Stranded by the flooding in Lustre Perle, federal agents fight alongside local Cajuns against the horrifying and deadly invasion, and although they are from different worlds, they must overcome their prejudices, fears, and distrust and rely on each other if they are to survive. 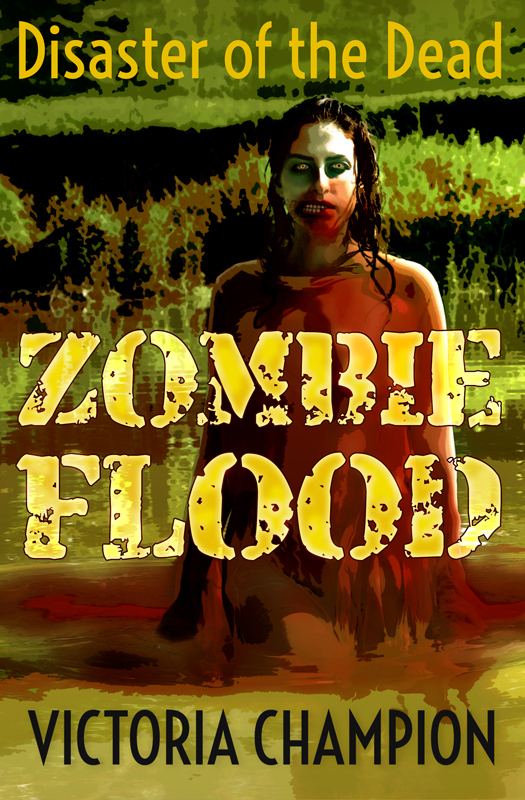 This book contains the novel Zombie Flood: Disaster of the Dead. 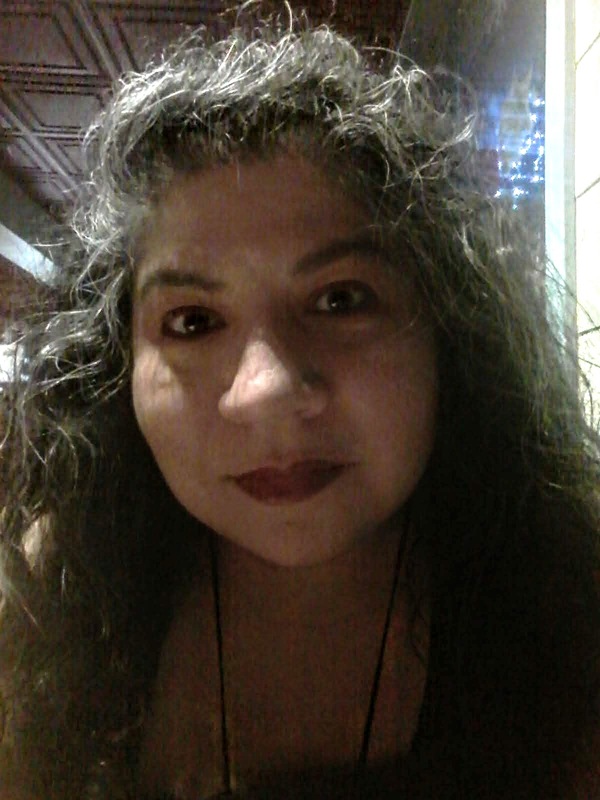 This original story by Victoria Champion is 54,000 words, or approximately 202 pages. Originally published on Aug 16, 2014. Please consider leaving a rating or review at Goodreads or your retailer of choice. Thank you. Also available at Google Play, iTunes, Kobo, Nook, Scribd, Versent Books, Inktera. The paperback is also available at Createspace! New places to buy my books! Now there are more places to read my stories. My ebooks are now available to read on the subscription ebook service Scribd, and are also for sale at Inktera and Versent Books. Newish places to buy my ebooks! And an update on book progress. For those who have not heard, there was a censorship scandal involving many allegedly obscene books that started in Britain and affected Canadian-based distributor Kobo, who was supplying the controversial books to a major bookstore based in London. Kobo pulled all potentially related books. B&N Nook also responded with their own hit-and-miss censorship sweep, and so did Amazon, however Amazon did not pull any of my books from distribution. Many innocent books, including mine, were caught up in the mass banning at Kobo and B&N Nook. iTunes did not pull any of my books, but I took the opportunity to try out exclusivity at Amazon by participating in their Kindle Select program. I temporarily pulled my own books from iTunes. My books are now reinstated at Kobo, Nook, and iTunes and will remain so (at least on my end of the supply chain). My upcoming zombie novel is 14% finished, if going by word count. That does not include editing and research time spent. The book cover is also finished, but you will have to wait to see it! You can keep track of my works-in-progress on my website. Free! My Dark Fantasy story Wingless is FREE today at Amazon! UPDATE: This free promotion has ended. Thank you to everyone who got their copy. I hope you enjoy the story. UPDATE: Sale is over. Thank you to those who purchased their copies. Hope you enjoy them! Thinking of asking me to read your manuscript? and choose your own price! If you are waiting to buy select books until they go free on a promo (some titles will never be available in a free promo), you don't have to wait. 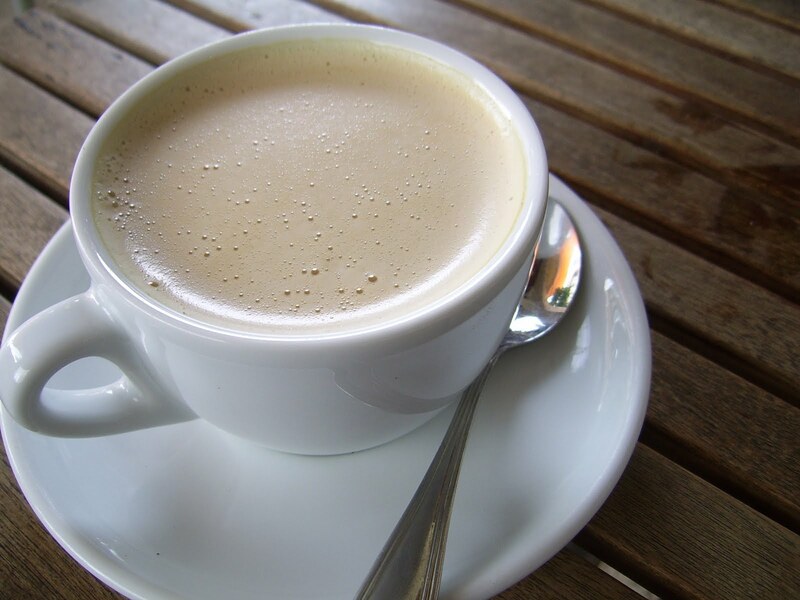 You can read that story now, for less than the cost of a cup of coffee. Read a Story. 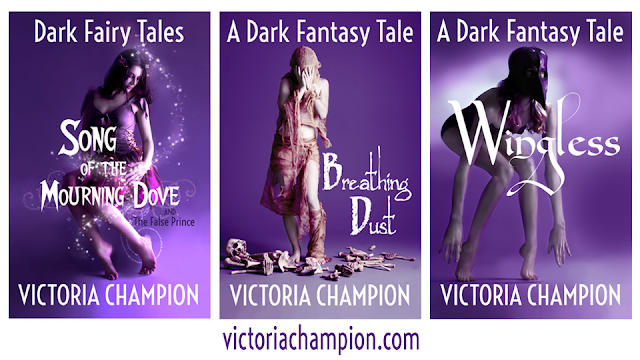 All Writings, Artwork and Content © Victoria Champion - All Rights Reserved. Awesome Inc. theme. Theme images by hdoddema. Powered by Blogger.